Everyone loves a punt on the pokies. When you hear about someone winning the big one at the slots, without a doubt they are talking about progressive jackpots. These special prizes can reach eight figures; at press time, the record jackpot in Las Vegas is nearly $40 million (won on a Megabucks machine back in 2003). You can even win $20 million from the comfort of your own home, like some bloke did in October 2015 for just over $20 million. Not a bad result for a single spin. If you have what it takes for a shot at the big one, there are a few things you need to know about progressive jackpots first. Get your head around how they work, and which machines to play. 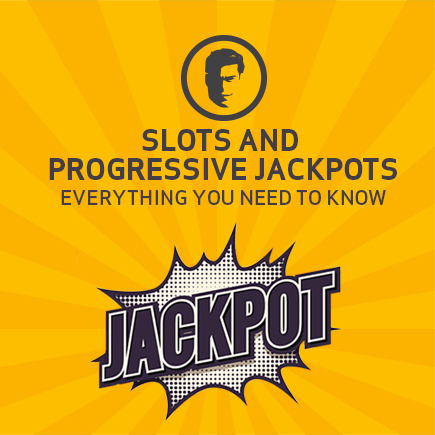 In fact, there are three different versions of the progressive jackpot, each with its own parameters and payouts. The great thing about progressive jackpots is they grow over time. You can see the amount increase gradually on the machine with every spin. The casino sets how quickly the jackpot goes up, contributing a certain amount from the proceeds of each play – maybe even 20% for some online slots. The most basic version of this jackpot can be found on the “stand-alone” progressive slots. These machines are much like any other, but instead of a fixed jackpot, they’ll pay out whatever the meter says when the player wins. You usually have to place the maximum bet to qualify for the progressive jackpot, but every bet will make the jackpot bigger. Now I know by now you’ll be hungry as a horse for some even larger jackpots, some casinos will link their progressive slots and pool the cash. If you win the jackpot on any one of these machines, the meters on all of them will reset to the starting amount. These are called “in-house” progressives, although some operators will extend the network to include all their casino properties. The third type of progressive jackpot is the biggest of them all, the white whale, the game-changer. When the network of slots is expanded to include machines from a number of different casinos, there ends up being a “wide-area” progressive jackpot – like the massive Megabucks payout, that I clued you in on earlier. The odds of winning are tough but if you’re lucky enough to strike gold you could be in for a massive eight figure payday. And if you’re after some bang for your buck, and some serious Grand Final excitement, then these are the slots you should have a crack on.